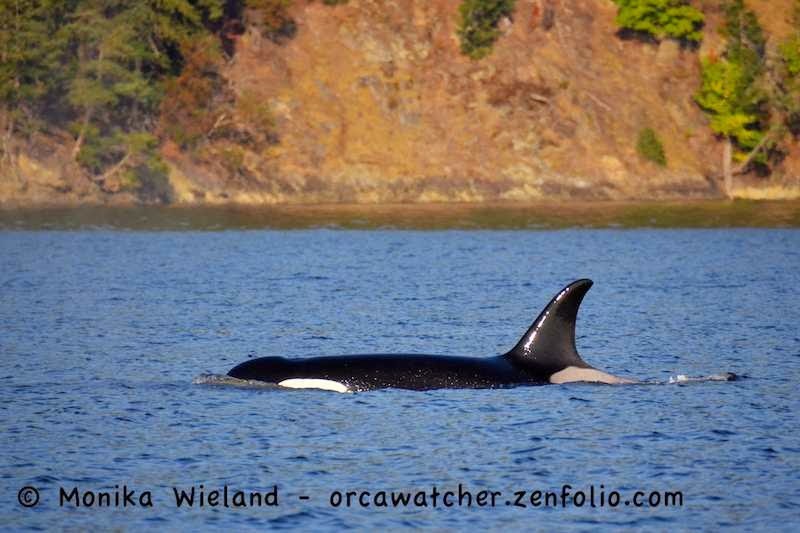 On Saturday it looked like J-Pod might be leaving us and heading back out to the open ocean, but then late in the day they turned and came back in! Towards sunset all was quiet on the west side, except for the blows of some very spread out orcas....and then two much longer blows of a couple of surprising humpbacks! At the same time, two adult humpbacks head north! 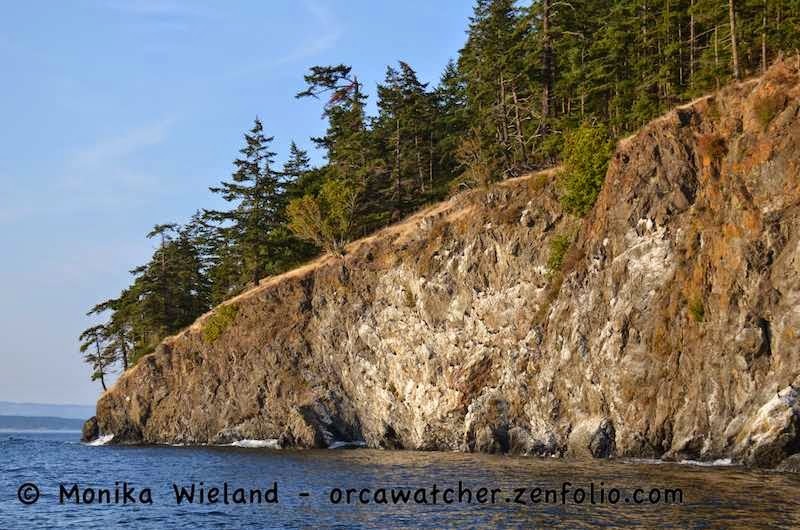 Early on Sunday the 24th I was excited to hear that there were a lot of whales off the south end of San Juan Island. It was looking good for an evening whale watch with my brother and his family aboard Legacy Charters. As we left Snug Harbor, we went north to meet up with Js and Ks as they were entering Swanson Channel in the Canadian Gulf Islands. 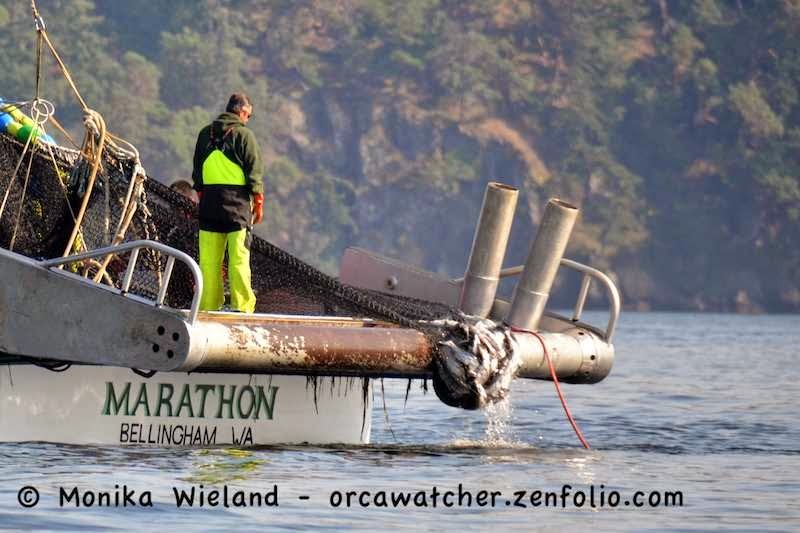 On our way out we paused to watch a purse seiner haul in his catch - pretty dismal, I thought! Word is fishing in US waters is not good this season, even though projections were for another high return this year after the record-setting sockeye run in 2010 (young from that year should be returning this year). 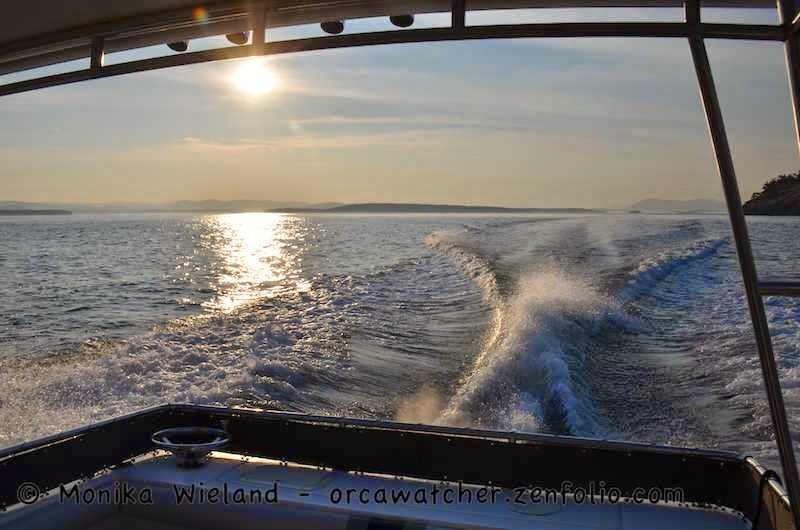 Unfortunately for US fishermen, warm oceanic conditions have pushed all the adult fish further north, and about 99% of them are returning to the Fraser River through Johnstone Strait in Canadian waters rather than a split between that route and the Strait of Juan de Fuca. K33 Tika must have heard I was having a hard time identifying him (see my last post), because not only was he the first whale he saw on this evening, but he kept popping up everywhere throughout the whole trip. I think I saw him from all angles, so maybe I can be better about identifying him from now on....at least until next year's growth spurt. His mom K22 Sekiu was nearby, and we got several nice looks at her as well. The Hodgepod Summer continued, as we had yet another new combination of whales traveling together. Present were J2 and the J14s (without L87), the J19s, the J22s, the K12s, K13s, and K14s. 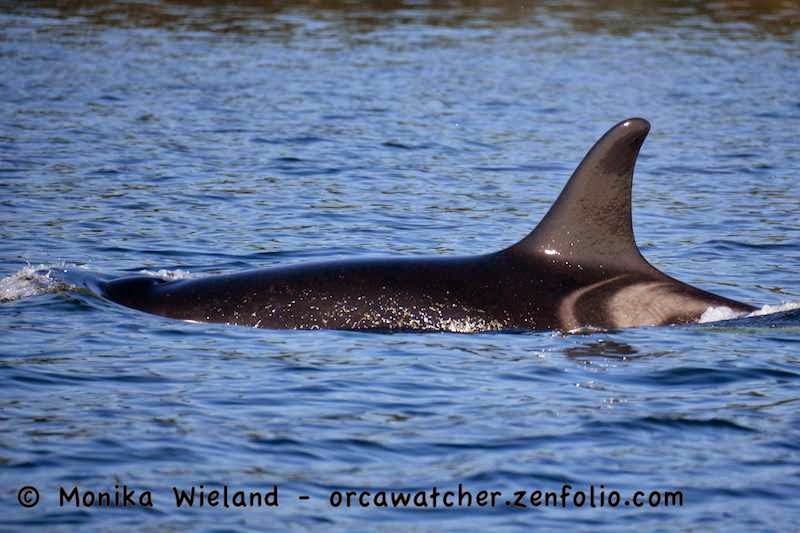 Later we heard the rest of J-Pod (including L87) and a bunch of L-Pod whales were further south off San Juan Island! Surprise! No one saw the Ls coming in. I love being on the water late in the day. The lighting is so beautiful. 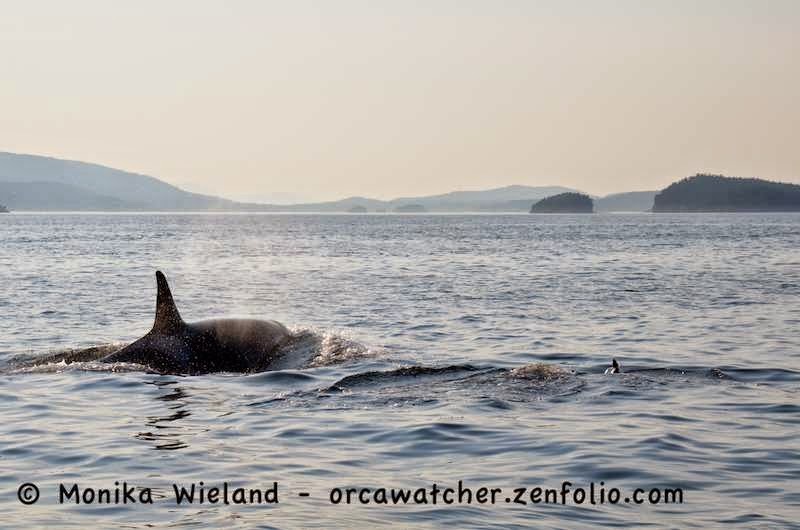 Watching whales in the Canadian Gulf Island is always pretty spectacular, too. 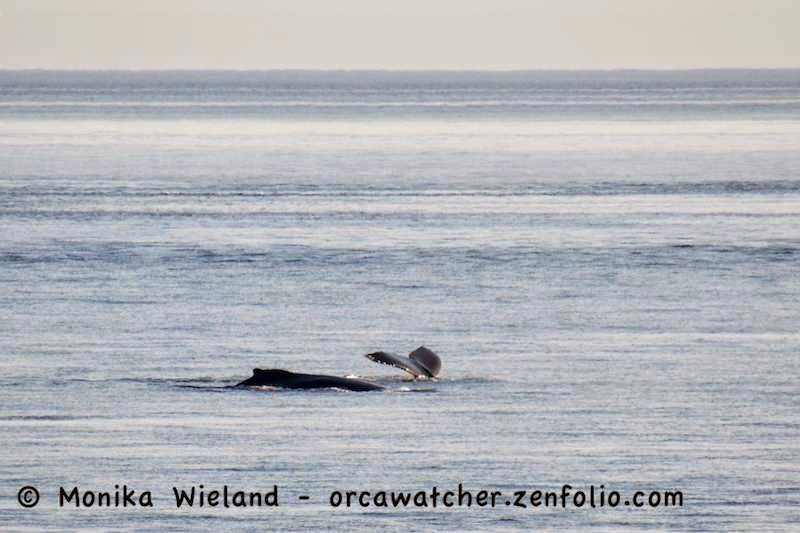 The whales were spread out traveling, occasionally stopping to forage. It was a very peaceful encounter. Nothing better than sunset whales! 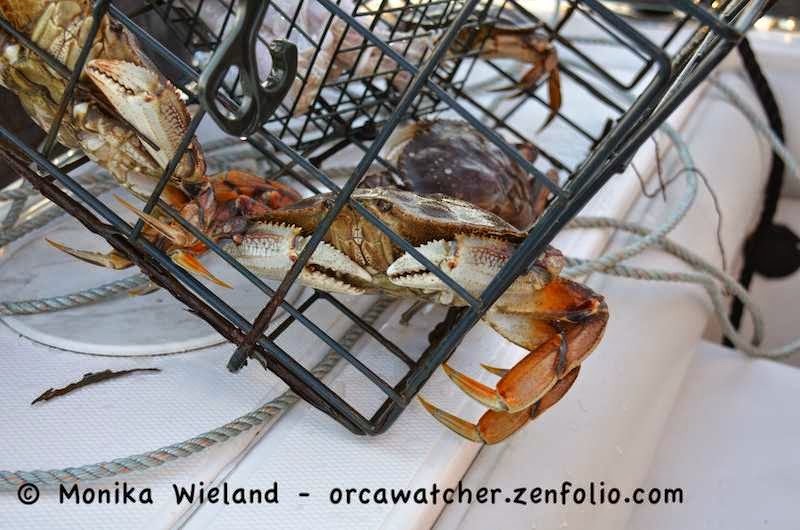 We also pulled in Captain Spencer's crab trap and got a nice close up look at some Dungeness crabs of all sizes. My niece and nephew were fascinated but did not want to touch one! We had a great evening on board the Legacy! With members of all three pods around, I was assuming we might have a superpod kinda day on Monday. Not so! The mixed group of Js and Ls went west, and the northern group of Js and Ks continued north. 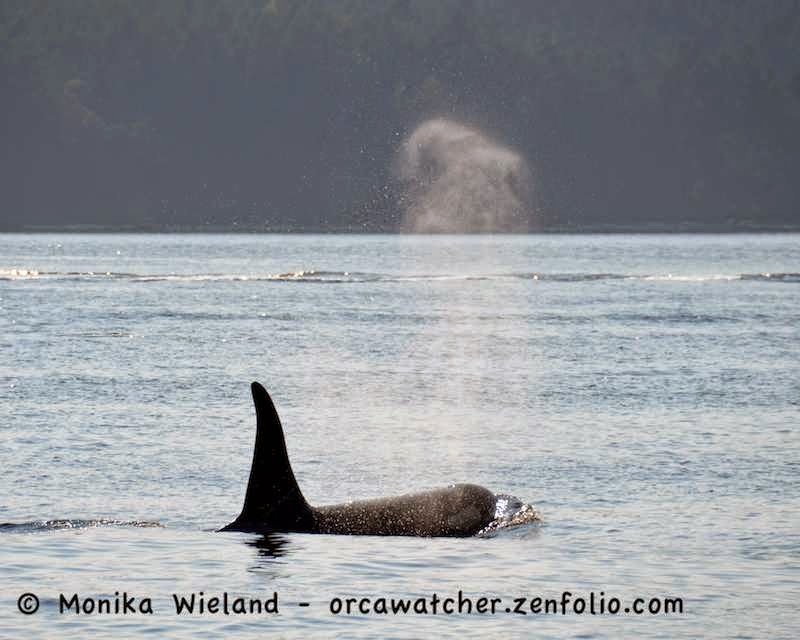 So far north, in fact, that on Tuesday they were seen near Campbell River, BC! That's pretty unusual, and it's probably not a coincidence due to so many fish coming down the Inside Passage instead of through the Strait of Juan de Fuca. 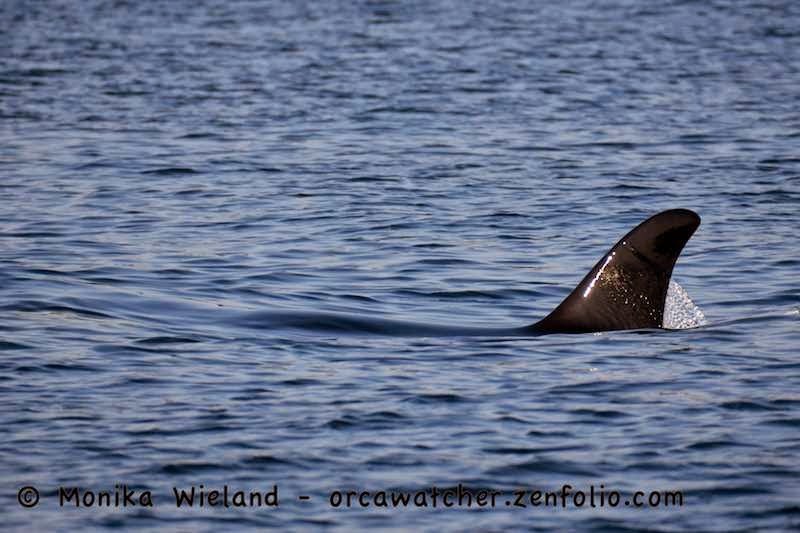 No residents doesn't mean no orcas around, however! 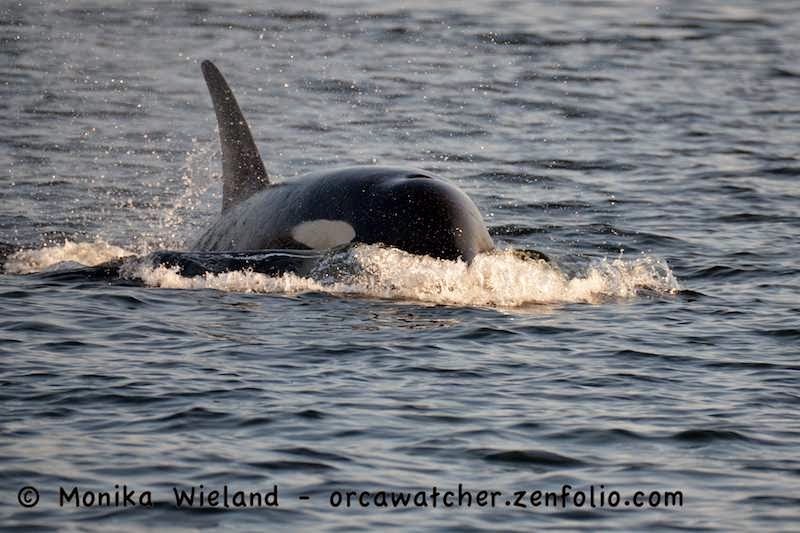 There have been a lot of transients around, and on Tuesday I would be in for an encounter like no other. Looking forward to details on your Tuesday encounter. I am so happy for you about all of the whales this year. 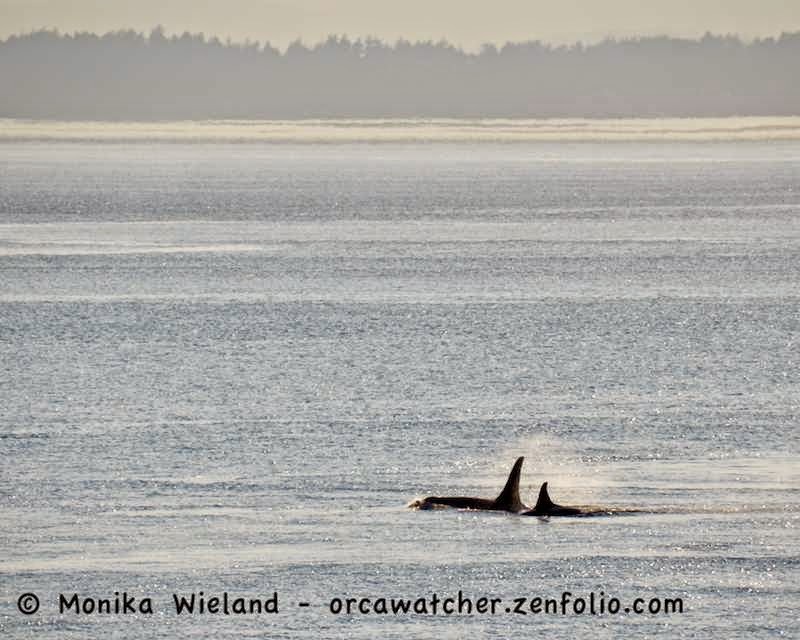 I so enjoy hearing about and seeing shots of your sightings and continue to be awed by your knowledge and ability to recognize the pods and the Orcas. Thanks for sharing. I live in Halfmoon Bay BC directly across from Merry Island and just NE of Thormanby Isl. 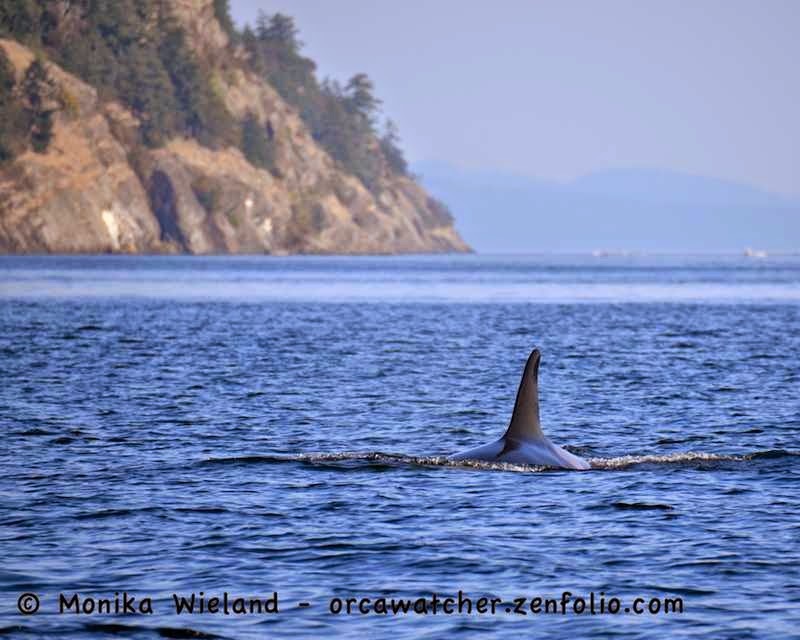 We've had more Orca sightings this year than in previous years and on the 26th we had 2 Humpbacks spend a bit of time in front of our beach. I wonder if they came from the San Juans?